Providing high-quality professional development programs is a cornerstone of the South Carolina Association for Justice’s mission, and SCAJ is one of the leading CLE providers in the state. 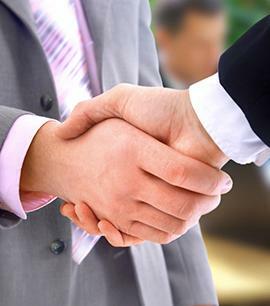 Our programs help attorneys stay current on the law, improve their skills as lawyers and advance their practices to better represent the interests of their clients. Each week, during the South Carolina Legislative Session, the SCAJ Lobbying team puts together a legislative update. Each update features information regarding the past week's activity and what to expect in the coming week. In addition, the weekly update includes a full report on every bill SCAJ is actively tracking. TOGETHER WE CAN PRESERVE, PROTECT, AND DEFEND THE JUSTICE SYSTEM FOR EVERYONE! Thank you for your interest in joining SCAJ. Whether you're an established attorney, a beginning lawyer, a legal assistant or a law student, SCAJ has plenty to offer you. To find out more about the many benefits of membership, please click here. The South Carolina Association for Justice is providing a free service to homeowners in the Pee Dee in the aftermath of the flooding caused by Hurricane Florence. With over 1300 members state-wide, SCAJ is using their combined resources to provide information and assistance to those impacted by the flooding the storm left in its wake. “The flooding has been devastating to so many communities. Thankfully the waters have finally started to recede, and we are pivoting to recovery. People are now returning home, assessing the damage, and starting the long and costly road to repair or rebuild. We are an association of lawyers who have dedicated our lives to helping those in need. It is a natural fit for our organization to offer assistance to those who are dealing with the aftermath of the flooding,” said SCAJ President Theile McVey. 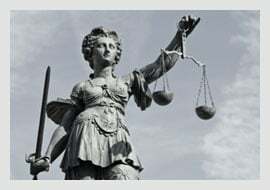 If any homeowner suspects or has been a victim of price-gouging, scams, or other flood-related crimes, we will connect you with a SCAJ member attorney in your area to assist you. Anyone wanting to use this service can contact the SCAJ office at 803.799.5097 or via email at courtney@scaj.com. Insurance companies don’t always make it is easy to process claims. If you are using a company or contractor for home repairs, be sure to verify their licenses in advance of hiring them. Some policies require licenses and you want to be sure you get the reimbursement that is appropriate under your particular plan. You can check your contractor’s status at https://www.llr.sc.gov/. There are several programs for assistance. Those affected should research and find the best fit for their situation. Two major programs are available through the government. Horry, Dillion, Marion and Marlboro County qualifying residents are eligible for Disaster Unemployment Assistance (DUA) funds. Go to dew.sc.gov and click the MyBenefits Login to apply or call 1-866-831-1724 (application deadline is October 24, 2018). If you have experienced property damage to your home, contact FEMA to see if you are eligible for assistance. Visit https://www.disasterassistance.gov/ and enter your zip code to apply for funding or call 1 (800) 621-3362. Families across South Carolina have scored a big win with the passage of S.116, known as the Dram Shop bill. The new law requires alcohol-serving businesses or individuals to have liability insurance that could help assist victims who are wounded, paralyzed, or worse due to alcohol-related crimes. The South Carolina Association for Justice (SCAJ) has been working closely with legislative leaders to put this safeguard in place. 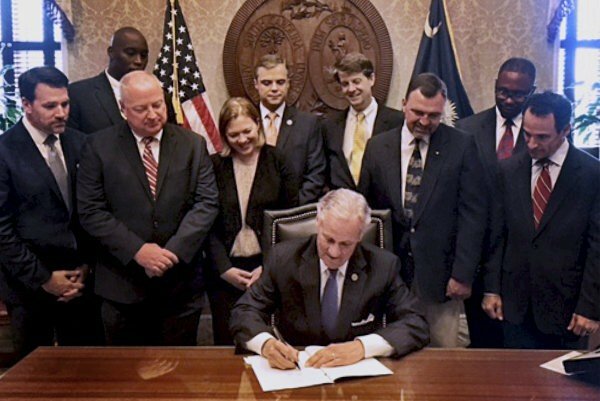 The organization’s leadership and lobbying team joined Governor Henry McMaster in his office when he signed the bill into law, which went into effect July 1, 2017. August 1-3, 2019 – The Annual Convention is a three day event combining Continuing Legal Education, Business Networking, and Family Fun. This year the Convention willl be held at the Westin Resort & Spa on Hilton Head Island. We look forward to you joining us for this outstanding event! Click Here to Register and make your Westin Reservations. Often described as "the best seminar in the region, if not the country," the SCAJ Auto Torts seminar is enjoyed each December in Atlanta, GA by Trial Lawyers from across the south. While the seminar used to focus purely on Auto Torts, throughout the years the seminar has shifted to include topics that are relevant to all Trial Lawyers. SCAJ is once again honored to host our Annual Legislative Reception on April 10, from 5:00 until 7:30 p.m. at 1208 Washington Place, Columbia, SC. Please join us in thanking Legislators who are devoted to protecting the legal rights of the citizens of South Carolina. We look forward to seeing you at this event. SCAJ is devoted to protecting the legal rights of the citizens of South Carolina. Upgrading your membership allows SCAJ to improve the civil justice system in South Carolina. From the list servs, to the website, to CLE seminars, to the insurance programs, SCAJ offers invaluable resources for our members. 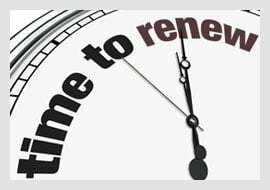 Renew your SCAJ membership now!